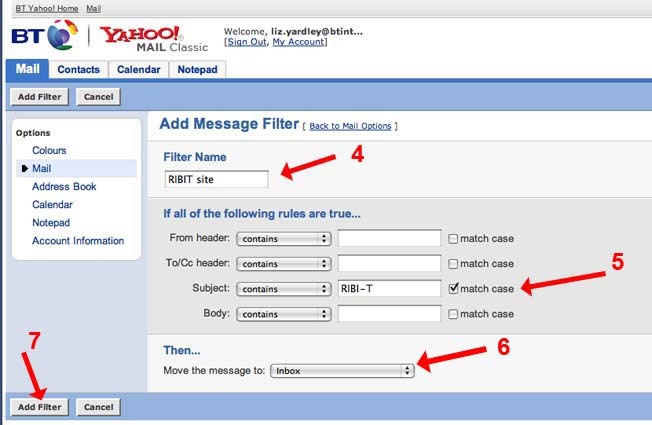 Some email addresses have over zealous spam filters which can lead to problems with messages generated from your RIBIT website going to your spam box or simply not arriving. This could be because certain words in the subject heading are deemed by your provider to be "spam", or because the message appears to come from your own address, which can also be seen as suspect. 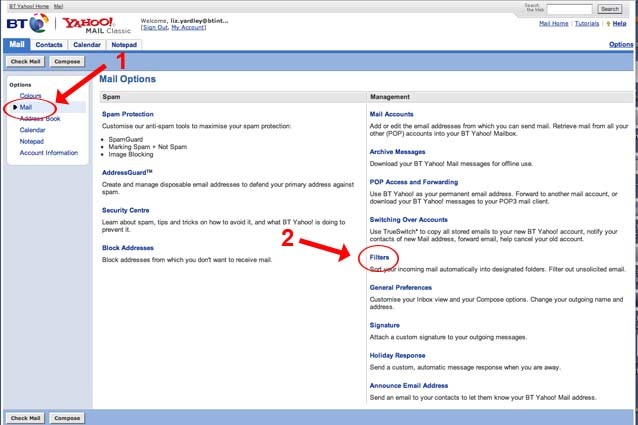 (This tutorial is based on messages to btinternet addresses, but the procedure is the same for any email address - the screen appearance will be different. 2. Find the "Filters" link and click on it. 3. We're going to set-up a new filter, so click on "Add". you of what it's all about - you might use something like "Receive Website updates". "Move the message to:" and select "Inbox" from the dropdown box. 7. In the lower left corner, click the "Add Filter" button. 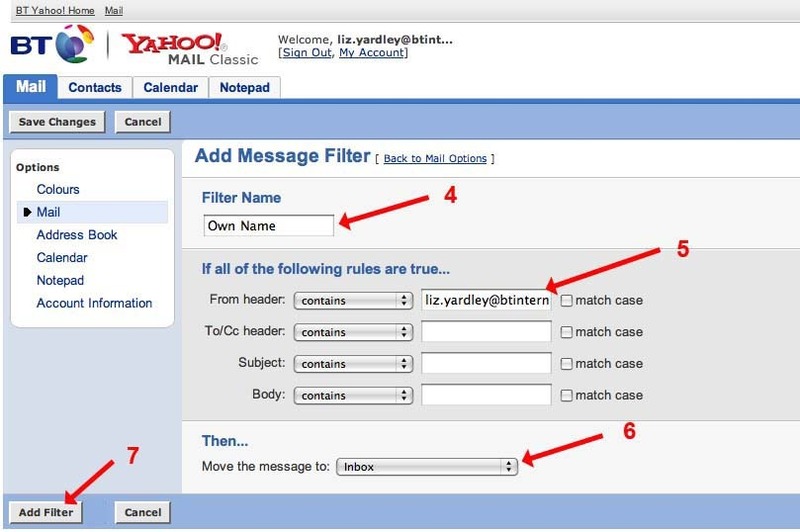 You've done it - you've told Yahoo that anytime it receives an email on a Subject beginning RIBI-T- to place in it your Inbox. you of what it's all about - you might use something like "Receive Website emails". You've done it - you've told Yahoo that anytime it receives an email apparently coming from your own address to place in it your Inbox. PLEASE ensure that it is a genuine email from the website as it is possible that spammers might use the own address ploy to send their messages. Many thanks to David Simmonds who wrot this originally and to Liz Yardley for creating the tutorial.